The IRS requires reporting of all pension income, whether or not it is taxable. 2. Can a Public Employee Retirement Check Be Rolled Over Into a Roth IRA? 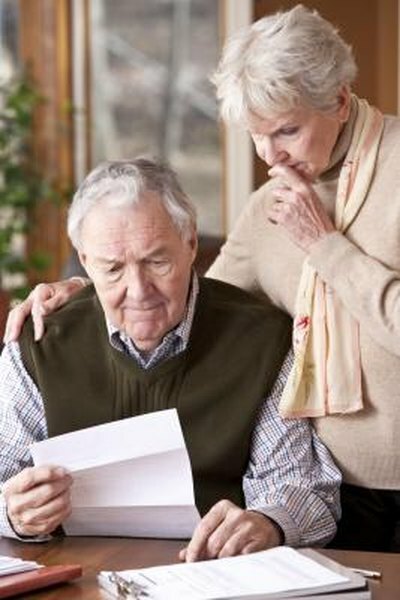 If you are receiving distributions from a pension, a part or all of those earnings may be subject to income tax. It all depends on how you and your employer made the original contributions to the plan. The taxable portion of your pension payout is part of your adjusted gross income for the year, and is taxed at the same rate as the rest of your net income. The IRS applies separate rules on qualified and non-qualified pensions. The General Rule is applied to non-qualified plans, which don't meet IRS guidelines for favorable tax treatment of contributions and withdrawals. The IRS does not levy income tax on that portion of a non-qualified pension that represents your "net cost." This means all contributions to the plan by the employer and yourself. Any return by the pension over and above your net cost is subject to income tax in the year you receive it. The Simplified Rule applies to qualified plans, such as 401(k)s and Simplified Employee Pensions, to which you can make "pre-tax" contributions. Any contributions by the employer to your qualified plan are fully taxable in the year that you receive them as a distribution. Because your retirement income will be less after you stop working, you will likely pay a lower amount of tax than you did when you were earning wages from the same employer. You can have income tax withheld from pension payments, if you choose; you can also make quarterly estimated tax payments to avoid a heavy tax bill on April 15. If your employer offers a 401(k) or other qualified plan, you are making regular, voluntary "pre-tax" contributions to the plan from your salary before you receive it, and before you pay any taxes on it. This portion of your pension, as well as employer contributions and the income generated by the plan, will also be taxable when you receive it back as a distribution. If you receive a lump-sum distribution from a pension, you can avoid a heavy tax bill by rolling it into an Individual Retirement Account. Your qualified pension may allow after-tax contributions. By the Simplified Rule, if you have paid into a qualified plan with any money on which you've already paid income tax, then you have a "cost" or "basis" in the plan that is tax-exempt (similar to tax treatment of pensions under the General Rule). You report pension income on Line 16a of IRS Form 1040; the taxable portion of the pension goes on Line 16b and is included in your adjusted gross income for the year. If you take part in a qualified plan, then the IRS will slap a 10 percent penalty on any early withdrawals you make before the age of 59-1/2. This is in addition to regular income tax on the distribution and the account earnings. The penalty does not apply if you are totally and permanently disabled, or if you take it as part of an equal and periodic payout after the year in which you turn 55. There is also no penalty if your beneficiaries receive the payments after your death. Non-qualified plans may have their own early-withdrawal penalties, but the IRS will only tax the return of contributions above your net cost in the plan. How Are Retirement Benefits Taxed?